When I think of summer I think of homemade ice pops! My toddler loves the smoothie pops I make, usually with bananas, yogurt, strawberries, mango, and rice milk. It the perfect treat with nothing artificial. This stainless steel popsicle mold from NoPlastic.ca is the perfect addition to a healthy kitchen on a hot day. Along with the Ice Pop Joy book by Anni Daulter that we are also giving away, you'll be all set for summer fun in the sun and beating the heat! I have a plastic popsicle mold, but I was looking for something non-toxic, this is the perfect solution. It's just big enough for our family of four, it is quite compact for storage (great for our small kitchen), and it isn't toxic plastic. The design is quite simple and you don't need a manual to figure out how to use it. It comes with 12 wooden popsicle sticks and they also have reusable bamboo popsicle sticks for sale. I love that the popsicle lid captures all the drips when in use, so convenient with kids and especially toddlers! Now I won't have a generous sticky mess to clean up. It is made from 18/8 quality stainless steel. I also love that you can release or refill one popsicle at a time without having to take the whole thing out. That's perfect because we will not always eat all six popsicles at once, or sometimes just my toddler wants some and I don't. This makes it so much more convenient. NoPlastic.ca has a variety of awesome, useful kitchen and healthy lifestyle products. How about these stainless steel ice cubes? Isn't that genius! I love it! The non-toxic bakeware has my name written all over it. 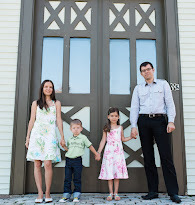 I also love the wooden children's brushes and bamboo deodorizers. As you see, it's not just kitchen items, there is a little bit of everything and a lot of generally hard to find items. They ship to the U.S. from Canada, so you can place an order no matter where you live. 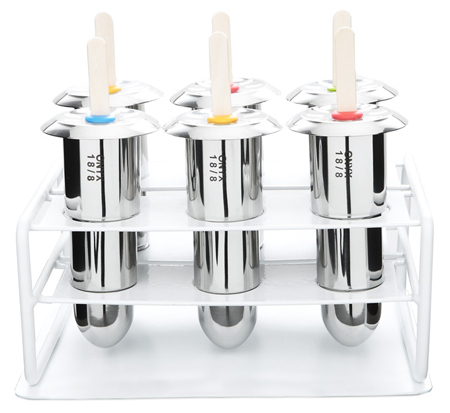 Tell us what you think of the Stainless Steel Popsicle Mold and NoPlastic.ca? I found none toxic plastic molds and they were removable one at the time, unfortunately once they hit the floor the top holder broke, one by one they broke, now I'm looking for something unbreakable, this looks like it.